Leading coral reef scientists say Australia could restore the Great Barrier Reef to its former glory through better policies that focus on science, protection and conservation. In a paper published in the journal Nature Climate Change, the authors argue that all the stressors on the Reef need to be reduced for it to recover. An Australian Government report into the state of the Great Barrier Reef found that its condition in 2014 was "poor and expected to further deteriorate in the future". In the past 40 years, the Reef has lost more than half of its coral cover and there is growing concern about the future impacts of ocean acidification and climate change. 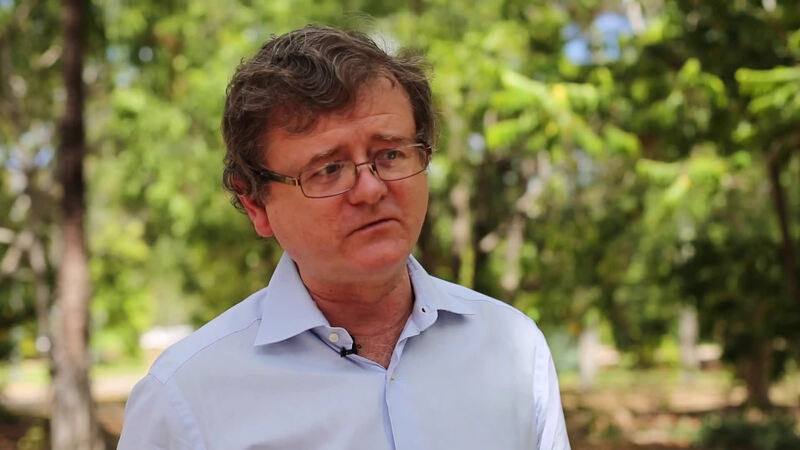 "We need to move beyond the gloom and doom to identify how the decline of the Great Barrier Reef can be turned around," says co-author Professor Terry Hughes from the ARC Centre of Excellence for Coral Reef Studies at James Cook University (JCU). "Our paper shows that every major stressor on the Reef has been escalating for decades - more and more fishing, pollution, coastal development, dredging, and now for the past 20 years we're also seeing the impacts of climate change." 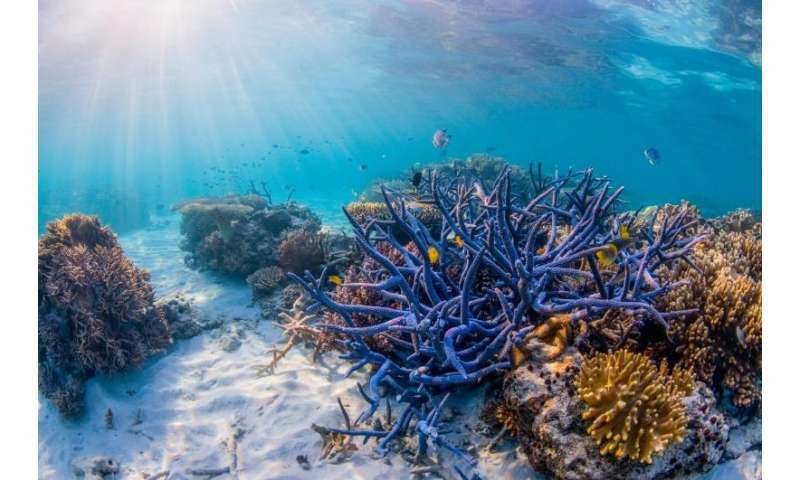 "We now have a very good handle on why the Great Barrier Reef is in trouble," adds co-author, Jon Brodie from the Centre for Tropical Water and Aquatic Ecosystems Research at JCU. "The challenge is to use that scientific knowledge to prevent further damage and give the Reef some breathing space that would allow it to recover." Co-author, Jon Day, also from the ARC Centre for Coral Reef Studies at JCU says an obvious first step is to prevent unsustainable growth in each of the stressors to reduce their cumulative impact. "If that means less dredging, less coal mining and more sustainable fishing, then that's what Australia has to do. Business as usual is not an option because the values for which the Reef was listed as World Heritage are already deteriorating, and will only get worse unless a change in policy occurs." The authors say that as countries around the world move to curb global carbon emission, Australia has an opportunity to transition away from fossil fuels and to limit the development of huge coal ports alongside the Great Barrier Reef World Heritage Area. "No-one is saying Queensland should not have ports - however, what we are saying is that all developments within, and adjacent to, the Great Barrier Reef need to be far more sustainable in the way that they are developed and operated, especially because they adjoin a World Heritage Area, "says Jon Day. The authors agree that no one wants to see the Great Barrier Reef placed on UNESCO's 'World Heritage Area In-Danger' list. "The economic case for better protecting the Great Barrier Reef is very clear - it supports more than 60,000 jobs, mostly in Reef-related tourism," says Professor Hughes. A return to the former emphasis on conservation and protection of the Great Barrier Reef. Australia taking a lead role in tackling climate change by transitioning away from fossil fuels. Permanent legislative bans on dumping both capital and maintenance dredge spoil within the World Heritage area. The Great Barrier Reef Marine Park Authority (GBRMPA) reinstated as the agency responsible for all aspects of the Great Barrier Reef, including fishing and ports. A 50-year plan and adequate funding for the use of the catchment designed to reduce greenhouse gas emissions and agricultural run off. Jon Brodie says Australia is starting to reduce runoff of nutrients, sediments and pesticides from land into the World Heritage Area, and is improving regulations for dumping capital dredge-spoil, but much more action is needed. "These efforts are a welcome step in the right direction, but they will need much better resourcing in order to substantially reduce pressures on the World Heritage Area." The authors say the global community must make it clear that they want more effective policy action to ensure the Great Barrier Reef is restored for current and future generations. "This paper raises awareness of the untapped opportunities to incorporate science into better policy to ensure we still have a magnificent Great Barrier Reef in the future," Terry Hughes adds. More information: Securing the future of the Great Barrier Reef, by Terry P. Hughes, Jon C Day and Jon Brodie is published in the journal, Nature Climate Change. "We can fix the Great Barrier Reef"
It's fucked and Australians should hang their heads in shame. Corporate greed has killed the reef and our "government" is complicate in it's destruction. I think that's the point of the article though. Not all hope is yet lost for it, and it's possible to be fixed. Will Australians prioritize that fix over other issues, and elect a government interested in doing so? We'll see. According to who's definition of "fix?" And what is the definition of "broken?" These words are highly loaded; meant to imply a purpose to a purposeless existence. Your just jealous because the people of the world don't do what you think is right or shall I say, they are not members of your religious practice.